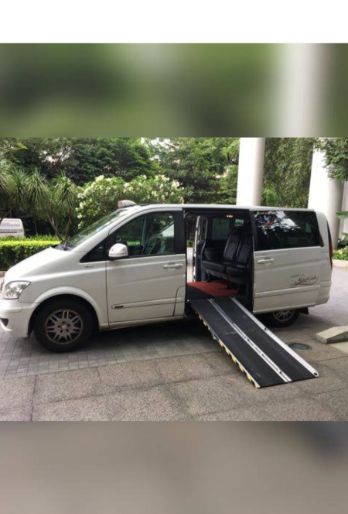 Beside using maxicab for ferrying executives or vips, it is also catered for wheelchair bound passenger. There is two type of loading. One method is back loading. This method is suitable for passenger who is using normal wheelchair. The passenger will be seated at the back of the maxicab. There will be enough seats for 4 more passengers. For motorised wheelchair, it will not be able to fit into the rear of the maxicab. The other type of loading will be side loading. 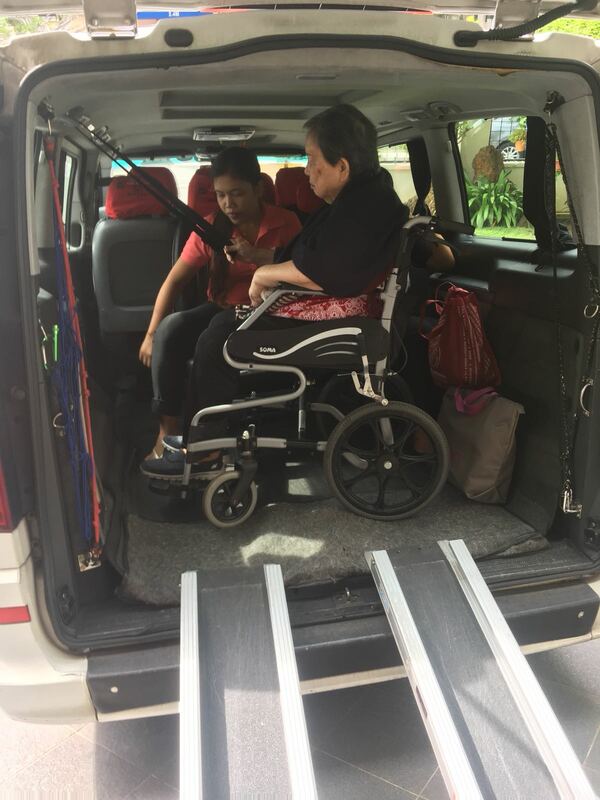 This method is suitable for passenger who is using normal wheelchair to motorised wheelchair. There will be enough seats for 4 more passengers.